What makes a road trip all the way from New York to Boston worth it? 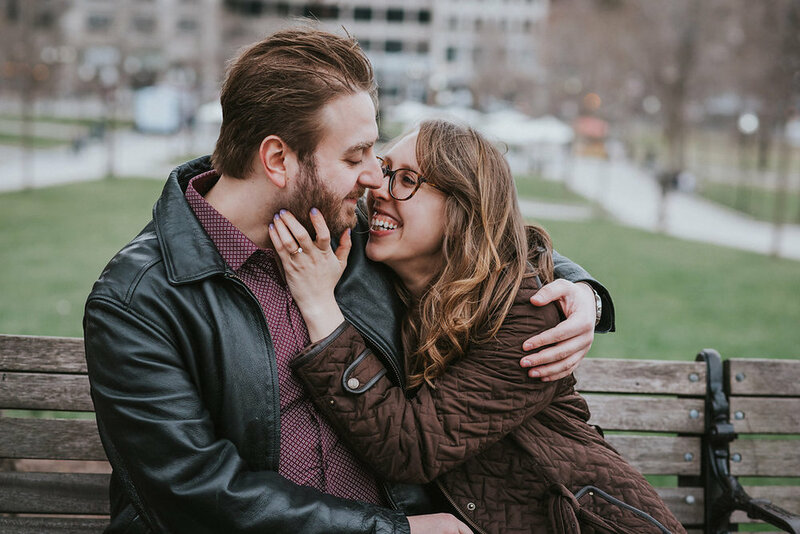 To be able to work with an amazing and awesome couple like Ilyse & Max! The trip was quite interesting; It was 75 degrees in NYC when I picked up Michelle in Brooklyn and headed out towards Boston. Once we drove into Connecticut, the temperature started to drop and it also started to rain. As we drove deeper into Connecticut, it started to snow! By the time we got to Boston, it was very windy and pretty freezing! 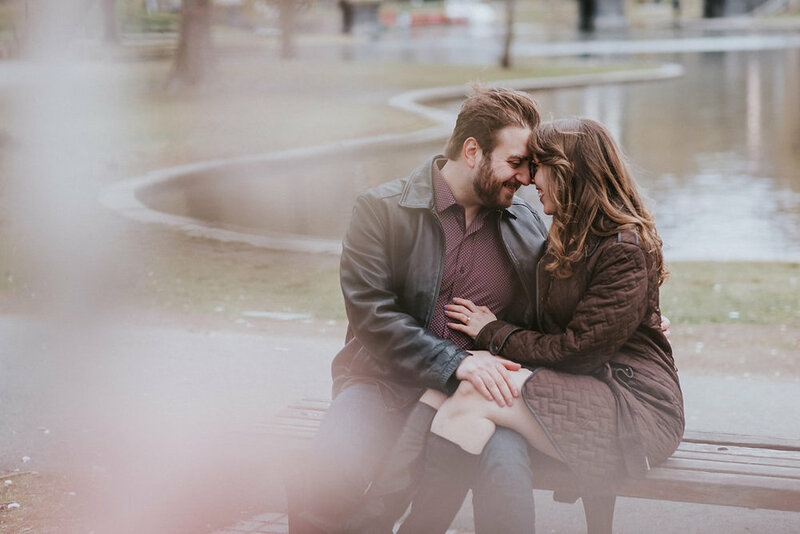 We met up with Ilyse and Max at Boston Common and instantly had a great connection. They are just SO sweet, romantic, silly and adorable! 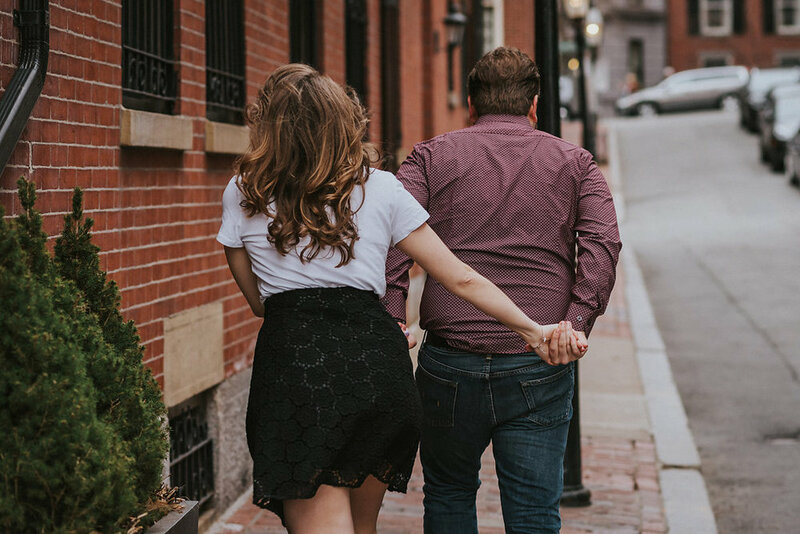 We walked around Boston Common, Boston Public Garden and through Branch st (where a very angry resident threatened to call the cops on us because she didn't like us photographing around the area, haha). The session came to an end and it was getting even colder outside by now, especially since the wind had picked up even more. What do we do now to end the evening? 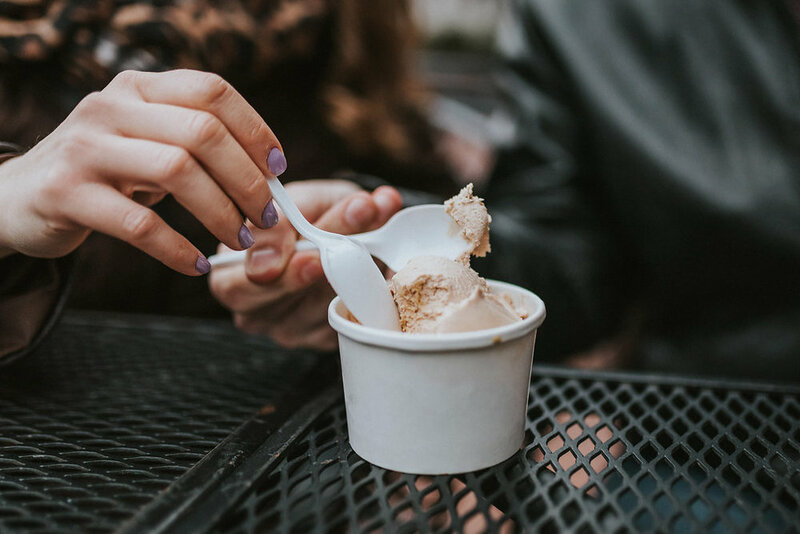 We went to Picco, where we all enjoyed ice cream together (it's never too cold for ice cream). Absolutely delicious! 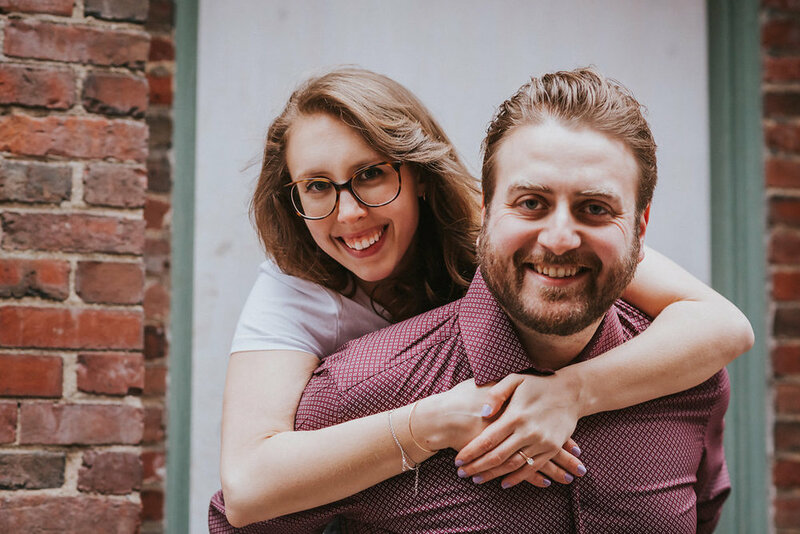 It was such a blast working with Ilyse and Max and we can't wait to photograph their wedding this year!